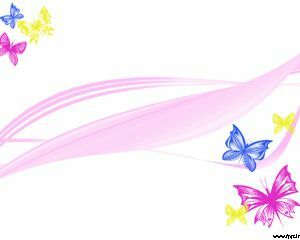 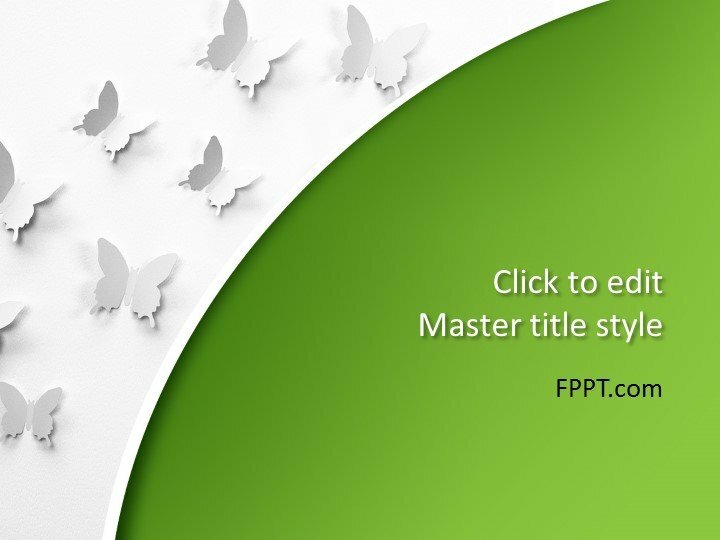 This is a free simple and modern design of Butterflies PowerPoint Template ready to use in your business or general kind of presentations. 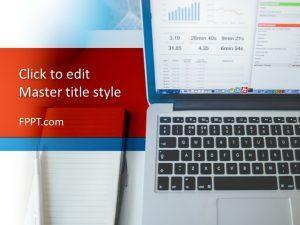 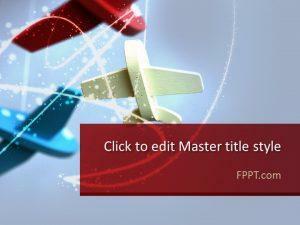 The design is so decent that it can be used in multi-topic PowerPoint presentations and as background templates. 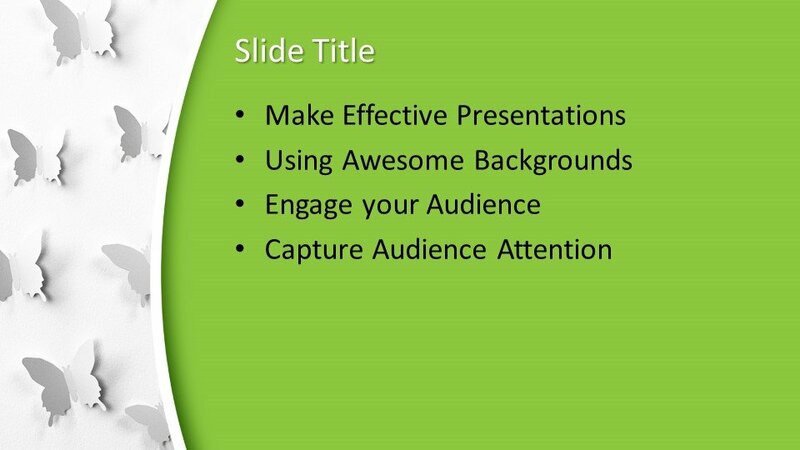 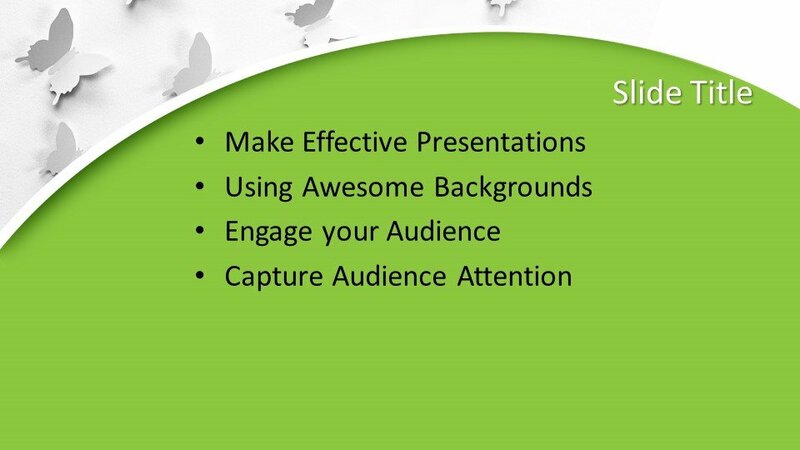 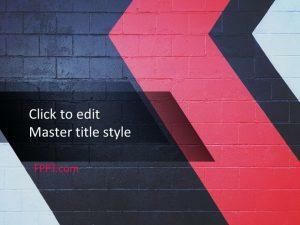 The audience will appreciate the design in the background of PowerPoint presentation. 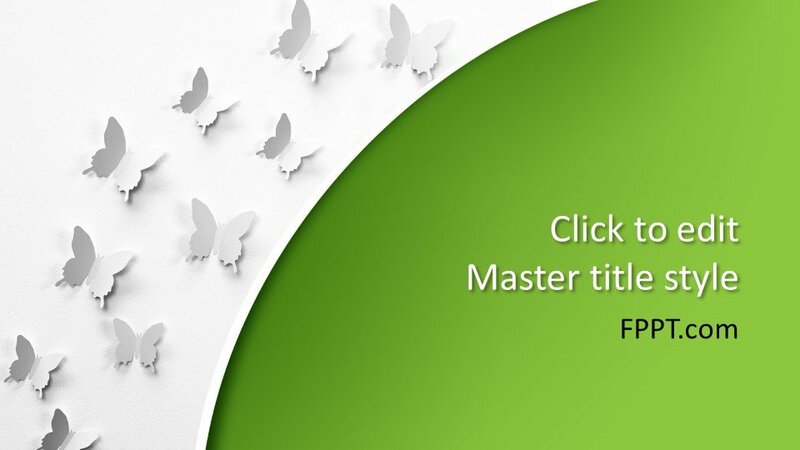 White and green shades are looking nice and this simple PowerPoint background design is unique and new. 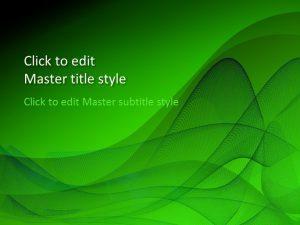 This PowerPoint background design is customizable and compatible with all versions of PowerPoint software 2010, 2013 and 2016 and also with Office 365. 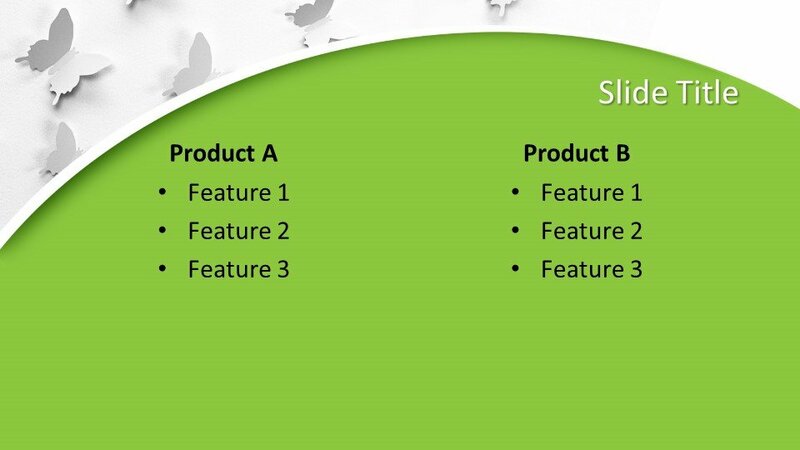 Three more design templates and slides are also given for further development in the presentation.